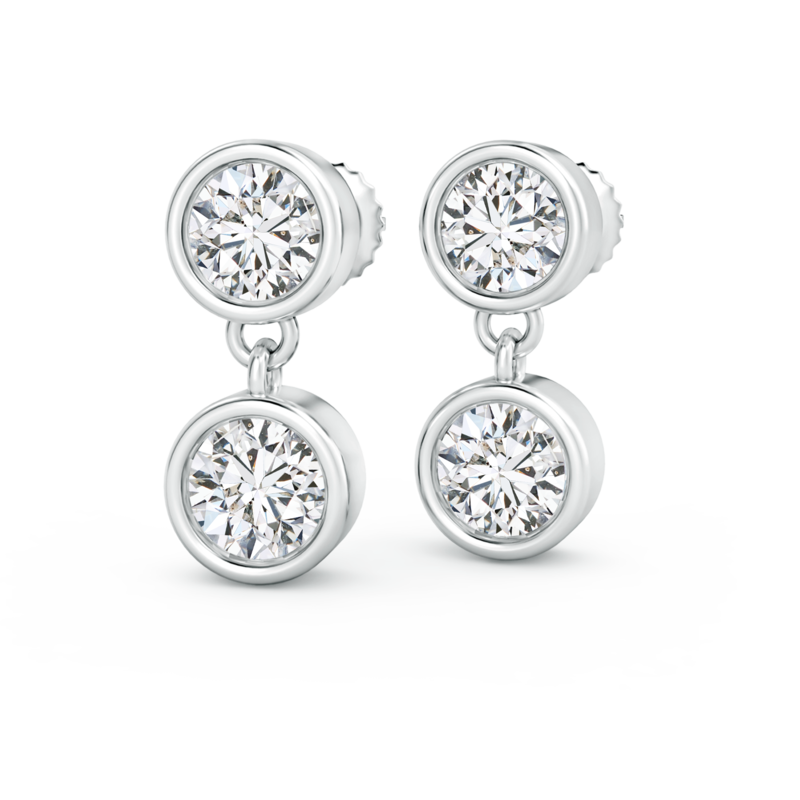 The sparkling lab grown diamonds are joined with connectors to create these alluring two stone earrings. They are secured in a bezel setting for the ultimate sophisticated look. The rounded metal rim around the diamonds enhance the brilliance of the gemstones.